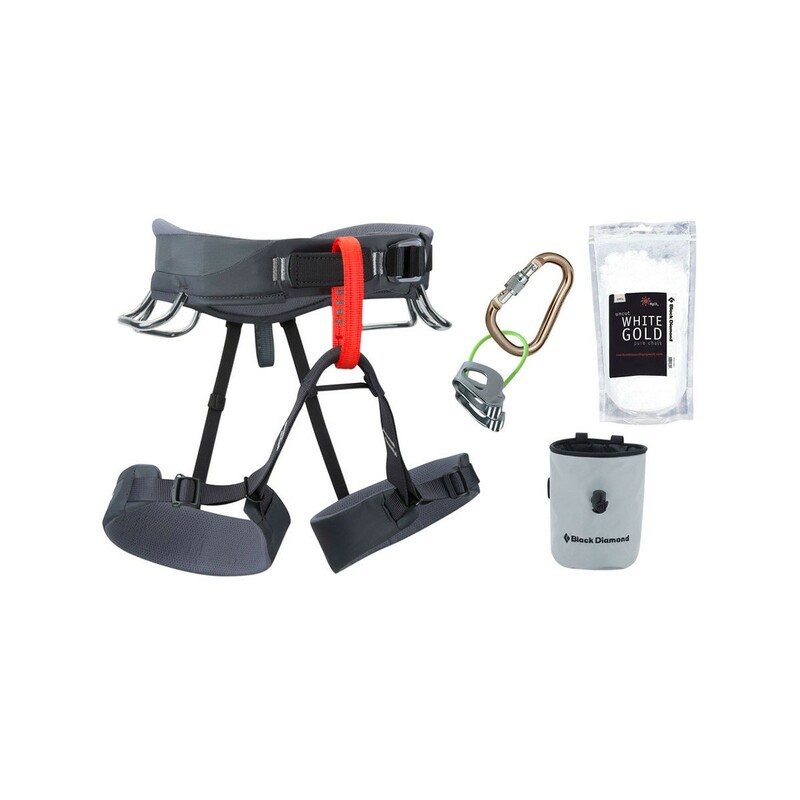 The Black Diamond Momentum Harness Package has all the essentials you need in one simple purchase, with the Black Diamond seal of quality so you don’t need to shop around. The Black Diamond Momentum Harness Package is composed of Black Diamond’s classic all-rounder, the Momentum harness, the versatile ATC-XP belay / rappel device and RockLock Screwgate Carabiner, as well as a Mojo Chalk Bag and some White Gold Loose Chalk for good measure. Everything you need to get your passion for climbing off to the best start.